The mark of this collaboration has seen its inception through the recent, La Valette wine rebrand which bears the claim ‘Official Wine Valletta 2018 – European Capital of Culture’. Marsovin has ensured that the quality of the wine is one that does justice to this important title. A partnership agreement between Marsovin and the Valletta 2018 Foundation leading up to the European Capital of Culture in 2018, was announced. During a press conference held at the Marsovin Cellars, the 9th edition of the Marsovin Summer Wine Festival, to be held on the 15th, 16th & 17th July, was officially launched. The partnership between these two entities is one that sees Marsovin and its wine brands as the official winery supporting and representing the walk towards our capital being crowned European Capital of Culture. The mark of this collaboration has seen its inception through the recent, La Valette wine rebrand which bears the claim ‘Official Wine Valletta 2018 – European Capital of Culture’. Marsovin has ensured that the quality of the wine is one that does justice to this important title. He added the art of viticulture and wine making mastered by Marsovin has also evolved over the years. This journey reflects the Valletta 2018 philosophy of stimulating cultural, social and economic regeneration through innovative practice. This partnership will keep evolving into various initiatives one of which is a series of private label productions solely dedicated to Malta’s journey to become European Capital in 2018. A special La Valette harvest will also take place in 2018. The aim of this weekend’s wine festival is to promote Marsovin’s certified D.O.K and I.G.T wines produced from vineyards in Malta and Gozo. 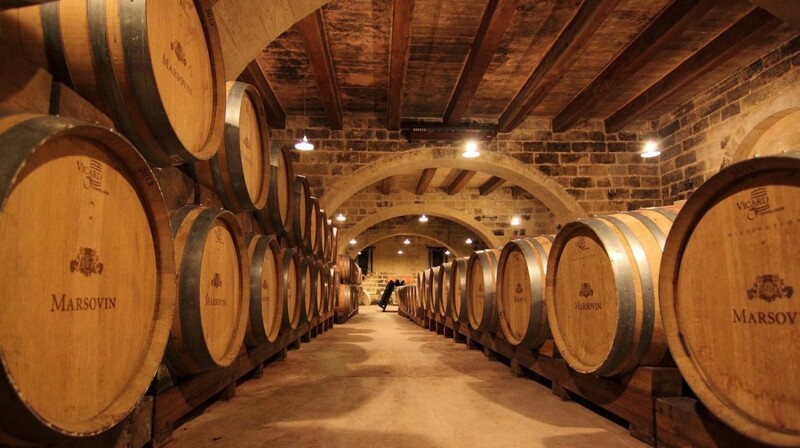 The festival was in fact created for the sole purpose of giving wine lovers the opportunity to taste a large selection of certified Maltese wines. The festival is targeted towards people who have a genuine interest in wine tasting and quality consumption. Marsovin in fact encourages people to taste different wines through the taster option given from all wine bars throughout the festival. This way all guests are given the chance to understand and experience a vast variety of styles and qualities. “By promoting and supporting Maltese wine, each and every consumer is supporting Maltese agriculture,” said Mr Cassar, adding that the quality of Maltese wine in general had improved significantly over the last 20 years, with wines going through a rigorous certification process to guarantee quality. Over the years the event has become ever more popular by maintaining a culture driven concept with a highly entertaining experience. This year is no exception, with some of the best local musical talent being lined up for the event, the organisers have also invited various restaurants and caterers to showcase their cuisine, offering a small but enticing selection of dishes at very reasonable prices.